Jamie Vardy has called this week the "hardest of his life" and says the Leicester players are desperate to make the late Vichai Srivaddhanaprabha proud by delivering on the pitch. 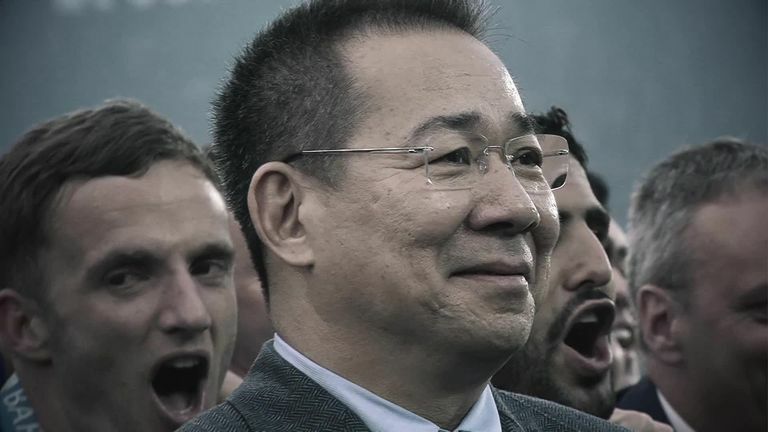 Owner and chairman Srivaddhanaprabha was among five people killed in a helicopter crash outside the King Power Stadium last Saturday night, after the 1-1 draw with West Ham. 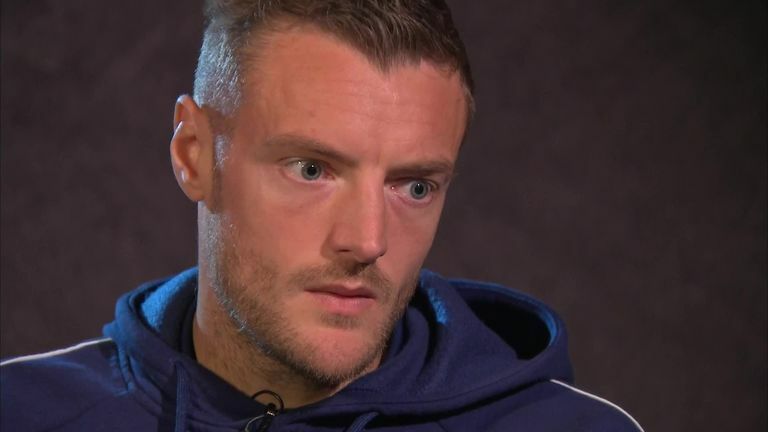 Vardy opened up on his emotions in an exclusive interview with Sky Sports News as the team prepare for Saturday's trip to Cardiff, with the Leicester striker revealing why the players felt it so important to continue playing. "We all spoke about wanting to play," Vardy said. "It's what Vichai would have wanted and that's we are going to do. "We know what we have to do and we need to go out and honour his name and put in a performance which will hopefully get the win. "It is going to be tough and it will be very emotional, but we've all chatted about it. People are saying the result doesn't matter, but for us lads we want to make it a positive result." Vardy has helped lead the tributes and support the squad since the weekend's tragedy as the staff, fans and the local community have mourned the death of the owner, many players called "The boss". The 31-year-old forward, who joined the club in 2012, added: "He wasn't just a chairman, he literally was part of your extended family. "It didn't matter who you were, he always made time for you, and as all the pictures that have been put out have shown, he was always smiling. Those are the things you will never forget and which will stay engraved in your mind. "From day one, literally from when I first met him, up until now he's always been really friendly and always wanting to be involved. He was part of the squad itself and was always here and always giving you encouragement and wanting to be involved with the lads and that's credit to him." Manager Claude Puel said on Thursday that he would give the players the opportunity to travel to Thailand for the funeral, which is due to begin on Saturday, and Vardy is keen to be there. He said: "It's been the hardest week of everyone's lives. It'll be massively important we attend, we are a close-knit group and one big family and one of the main reasons for that is Vichai so it's massively important." Aiyawatt 'Top' Srivaddhanaprabha has promised to carry out his father's "big vision and dreams". On upholding his legacy, Vardy said: "He obviously had a plan and vision for the club and we know Top will know exactly what that. "Top has said he will continue that legacy and make sure he does his dad proud as well."